and none of us opened it until today - so I'm very sorry, that it takes so long to say >Thanky you<. the playlist any time I use your music. Hello raven! Nice to see you over here! A big welcome and be sure to stop by often! hey there raven,,,, welcome,,Ive been on the Aussie MP3 site for a few years or so,,, and been in the top ten DownUnder.. and if ya want to hear more music,, go to the IUMA links for free MP3s on may of the songs on the CDs,,, there outtakes,, but I hope ya will enjoy them!!!! Thank you that I received your new CD today!! Feels like relaxing at home and joyfull with musical family. I think you did so good...!!! This is my frankly writing about hearing report of this album. *Truck3[Going Down Slow]Nice groove are in this truck. *Truck4[Mean Old World]Yes it's my favorite number! !Nice arrangement. I love alternate version(Truck 13) too. *Truck5[Special Rider]Yeah, I enjoy it. Good combination with your pals. shorty Guitar solo. Sounds good!! *Truck17[Me and my black dogs...]Guitar sounds good.You play stratocaster? I will play Track 3,4,5,11,14 and 17 in my program near the future. USEN Sound Planet & USEN 440, the biggest cable radio station in japan. So, I wish you do the best. Thank you!! Very Sweet!! Good to see you going global Dusty. >material, and will add it to our files. >and Feel free to submit other material in the future. J.Dustin Sommers plays with Passion and imagination; the Hauntingly Beautiful results speak for themselves. Adam Rodell, Rodell Records , Hollywood ,CA. Wishing You the Best of luck with ‘Big River Blues, and look forward to your next release. Your CD ‘Big River Blues’ has entered on our Blues/Folk Charts at Number 5 !!! Cheers!!! “COOL, I love your Blues style, How do you play with such a good feeling. I say it again, COOL!!! 3/On Return/Helmut Stein Experience/Big, bad feeling/Do Your Worst! 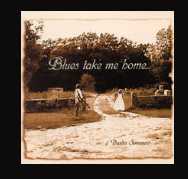 Amazing that over 5 years ago...I up loaded several outake on a Aussie MP3 site and its been number 1now in a Acoustic Blues and in the top 20 for years??? ?